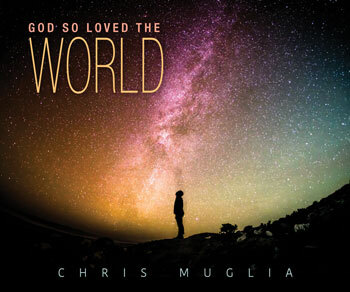 Chris Muglia returns to OCP with a new album on God's greatest gift. This album examines the strength needed to remain hopeful during difficult times. Chris captures the essence of struggle and rediscovering one's faith in both the lyrics and the production. Many of the songs open with a lone instrument, creating a notion of solitariness. Yet as they progress, more elements join, backing the initial sound and mirroring God's nurturing love that surrounds us. It shows the falsehood in the idea of abandonment. For through God, we are never truly alone. Chris finds comfort in this thought, as we all should, and the record captures this perfectly. "Chosen and Called (Greatness)" is a song that reminds us of our meaning in life. We are the people of God, and together, we are here to serve through kindness and compassion. "Beyond All Days" addresses the Lord's awesome power throughout the vastness of the universe. But with all this immense responsibility, he is with us for protection and guidance. "You Are Welcome Here" and "Light of the Nations" recognize the mission of Christ's apostles to spread the truth of his resurrection. We are called to fill the Church — to expand the Body of Christ and provide a home for all in need. Taken from the John 3:16, the album's title refers not only to Christ's sacrifice, but much more. Chris discusses that while "God so loved the world that he gave his only begotten Son," God also shows his love for us simply through creation. Our lives, our successes and failures, have all been given to us through love. "God so loved the world, period," says Chris. "Everything is constantly sacrificing for the good of another." Find out more about Chris' inspiration here.